The Islands on the edge of the world….. 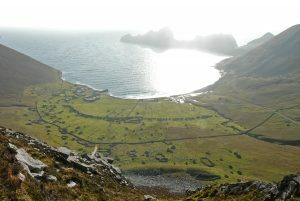 The St Kilda Archipelago lies in the Atlantic ocean, west of the Outer Hebrides. 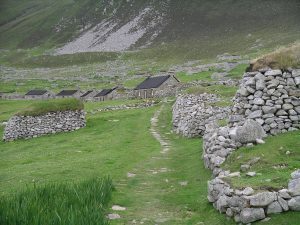 St Kilda holds the accolade of Dual World Heritage Site status, one of only 24 sites on the planet to be recognised, and is managed to international conservation standards in partnership with a diverse array of stakeholders. Although evacuated in the early 20th century the buildings and structures are maintain as scheduled monuments, a process demanding the highest standards of conservation. 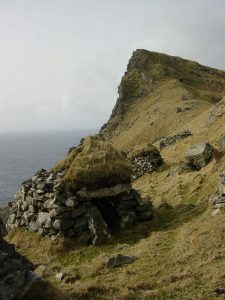 For the last fourteen years we have assisted The National Trust for Scotland to manage the significant fabric and infrastructure, to ensure these assts are conserved for future generations, and to allow safe access to visitors who wish to learn from and experience this unique place. Programmes of planned, reactive and compliance maintenance; HES Grant funded Management Agreement conservation works; and capital investment in the islands infrastructure have all been designed and managed. 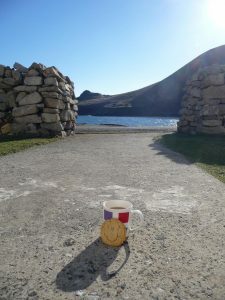 The works on St Kilda take ingenuity, patience and a degree of good luck. We work with NTS staff, volunteers, skilled specialists, partner organisations and national funders to ensure annual programmes of repair and maintenance are undertaken. Delivering works in such a environment is challenging; the changeable weather, fierce storms and logistical challenges can sometimes put you on the back foot. To counter these challenges, partnerships are key and relationships are important. But the result can be very satisfying….